A sudden inundation of electric ride-sharing scooters so startled the City of Cambridge this summer that officials took legal action to halt their spread — but now, officials are pondering a possible pilot program that would more gently bring Birds and LimeBikes home to roost in and around northeastern Massachusetts. The Transportation and Public Utilities Committee held a public hearing Wednesday to discuss the issue. Given that the state legislature does not hold its next session until Jan. 2019, the hearing centered only around the city’s expectations of what a pilot program might look like. Representatives from electric scooter companies Bird and LimeBike attended and participated in Wednesday's meeting, marking a period of peace-making after months of conflict. On July 20, Bird installed over 100 electric scooters in Cambridge and Somerville. Claiming the company did not consult the city government before beginning business, City Manager Louis A. DePasquale requested that Bird shut down its scooter operation and issued a cease-and-desist order. Cambridge ultimately impounded some of Bird’s scooters. In an interview prior to the hearing, Vice Mayor Jan Devereux, who also chairs the Transportation Committee, said the city had not established scooter regulations at the time Birds began appearing in the streets. “Bird sort of dumped its flock on our streets uninvited in the summer,” Devereux said. “And also in Somerville, so both Cambridge and Somerville received a bunch of electric scooters, and we didn’t have any advance notice, we didn’t have any time to prepare some ground rules, or any permitting process,” she added. Devereux said it is important to recognize that an electric scooter is not a “toy device” but a piece of machinery. Relevant state laws already on the books are geared towards scooters that resemble mopeds and require turn indicators and a rear brake light — features Bird and LimeBike scooters lack, according to Devereux. 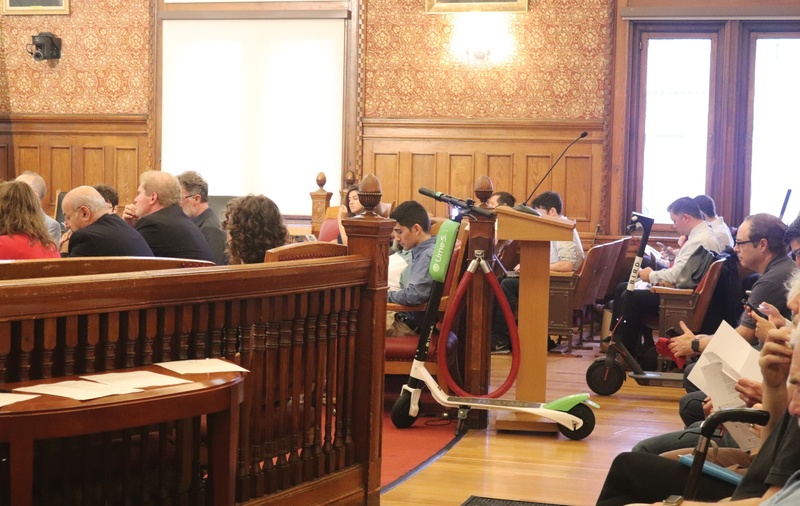 In a presentation during Wednesday's hearing, Cambridge's director of environental and transportation planning Susanne Rasmussen said she believed a pilot scooter initiative ought to include data-sharing agreements and safety measures, among other things. Hannah Smith, the government relations manager for Bird, and Scott Mullen, the director of expansion for LimeBike, both spoke Wednesday on behalf of their respective companies. The two detailed safety precautions taken by Bird and LimeBike. Mullen pointed to “tip-over” technology that allows LimeBike to know if scooters have fallen to the ground and to rating systems that help ensure users park the scooters properly. Smith alluded to Bird’s system of charging and inspecting electric scooters at night. In an emailed statement after the hearing, Bird spokesperson Mackenzie Long wrote that the company appreciated the opportunity to discuss its presence in Cambridge. 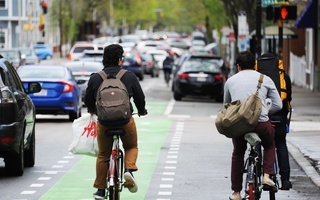 “Bird will continue to work closely with Cambridge, as well as the Massachusetts Department of Transportation, to develop a framework that works for everyone and allows Birds to get back on the road soon,” Long wrote. College students in the university-laden Cambridge area are necessarily a key target audience for the electric scooter companies. Some Harvard students said they have mixed feelings about the scooters. Emily Chen ’19 said she rode Bird and Lime scooters in Santa Monica when she worked and lived there over the summer. Chen said she considers electric scooters to be more “fun” than “essential” when it comes to getting around town. But scootering isn't entirely safe, Chen said. After speaking with her co-workers, Chen said she heard stories of scooter mishaps that make her “hesitant” to use Birds and LimeBikes in Cambridge, should they appear. “One of my roommates this summer took a Bird home once, and the brake was broken. As she was trying to stop, there was a car coming, and she literally had to jump off her scooter,” Chen said. 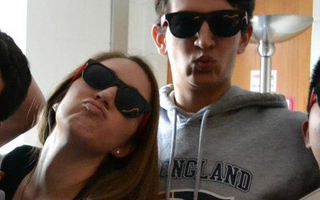 Trevor J. Levin ’19 — a former Crimson arts executive and columnist — said Cambridge should consider the environmental benefits of shared electric scooters. “I think electric scooters represent a potential to continue moving away from cars and toward more sustainable and more spatially efficient ways of getting around the city,” Levin said. 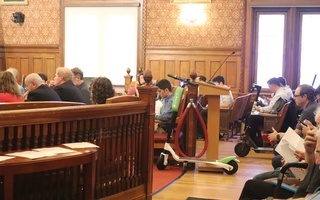 At Wednesday's meeting, DePasquale emphasized that the city supports introducing electric scooters — but that Cambridge officials must take proper precautions as they roll out the new service. Given the majority of the UC’s operating budget comes from students, it should be more responsible with its spending.